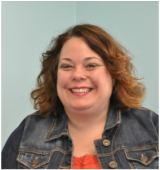 Kathleen Harvey is a Licensed Clinical Social Worker in Missouri and Illinois and earned a Bachelor’s of Arts and Masters in Social Work degrees from St. Louis University. Ms. Harvey is an experienced therapist working with children, individuals and couples using a multi-disciplinary approach to therapy to help clients resolve life challenges, including, grief/loss, depression, anxiety, separation/divorce, LGBT issues, PTSD, chronic mental illness and other issues which alter our ability to function in our daily lives. By learning how to apply new skills learned in therapy, clients move forward with their life with new insights and strength to handle stressors that once rocked their world. Kathleen believes that it is not what happens to you , it is our attitude and what we choose to do about what happens, that makes a difference. Consider taking a risk and seeking help with what is holding you back from achieving your dreams in life. You are not alone, and therapy is a chance to rest, reflect, reframe and resolve issues, transforming them into strength and courage going forward in life with joy and hope.